Michael Yellen joined Inrecon, LLC, the predecessor company of BELFOR USA Group, Inc., in 1990 as a salesman in Michigan. Utilizing his savvy business sense, he successfully opened the Macomb, Michigan office in 1994 where he served as the General Manager. Mike was a Regional Manager for the Midwest and was then promoted to COO. 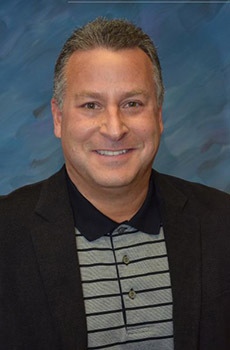 Michael is an active member in several industry associations including the Risk Insurance Management Society (RIMS) and Property Loss Research Bureau (PLRB). An active member in the community, Michael volunteers with the local American Red Cross, Holiday Meals on Wheels, JARC – one of the nation’s largest providers of community-based Jewish residential services and JVS – which helps people build skills and find jobs to achieve self-sufficiency. Prior to his career with BELFOR, he earned the No. 1 position in the International Racquetball Tour for five consecutive years beginning in 1982. In 1997, Michael was inducted into the United States Racquetball Association (USRA) Hall of Fame - an honor maintained to recognize athletes who have demonstrated outstanding achievement in competition or in the development, leadership and advancement of the sport.